1. Why a private jet instead of a commercial flight? Anyone wanting to travel by air in comfort will be choosing between a private jet and a commercial flight in Business or First Class. Flexibility and efficiency are of great importance to businesspeople, therefore commercial flights often appear unattractive due to rigid timetables, a smaller choice of airports, and waiting times at check-in, baggage carousels, security checks and at the gates. You don’t have any of these problems with a private jet. The trip is tailored completely to your needs and wishes. You also have privacy, and can use your time in the air productively, e.g. for discreet meetings, or just to relax and enjoy exclusive service. Looking purely at the direct costs, First Class flights are usually somewhat cheaper than charter flights. But that’s not the whole bill. Because private-jet travelers can arrive when they want and thus often also save on hotel expenses. They also usually get to arrive closer to their final destination, ultimately spending less on onward transportation. Most importantly, this all saves time, which is a priceless advantage both in work and private life, even though it may not always convert into money. Those who book “last minute” also enjoy empty-leg flights which occur when a private jet is only booked for one route. These flights are often much cheaper than other charter flights. Exact fares always depend on the route, aircraft type and more. 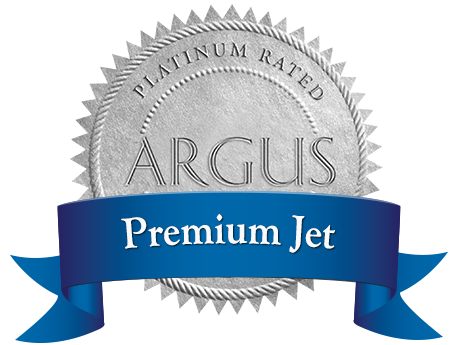 You can get an initial impression using the flight search on Premium Jet’s website. 3. Which airports are used? Charter aircraft are smaller and more versatile than commercial planes. As such, they can take off and land on much shorter runways and don’t have to just use the big airports, but rather also smaller regional airports. The selection is therefore much larger, as is the possibility of getting closer to your actual destination. 4. What is the right aircraft for me? Private jets differ in terms of size, design, range, comfort, speed, features and cost effectiveness. The most common aircraft types start with the agile, low-cost Very Light Jets, which can fly for up to 3 hours non-stop with 4 to 6 passengers. Then come the Light Jets, Super Light Jets, Midsize Jets, Super Midsize Jets, Heavy Jets, and finally the Ultra Long Range Jets, which can seat 10 to 19 passengers, and can fly for up to 13.5 hours non-stop. The right aircraft type for you depends on factors such as the number of passengers, their needs, and the distance to your destination. A good charter provider will recommend suitable jets for you. 5. Luggage and animals – what can I take with me? The size of a jet determines how much luggage can be taken. While a small jet can only hold 5 pieces of luggage, a large one can hold up to 30 or more. Bikes, ski equipment and other bulky luggage can generally also be taken. But you should enquire about and discuss all of this when booking. The same applies for carrying beloved pets, because dogs, cats etc. are often not allowed to travel in the cabin. 6. Inboard – what’s the deal with gourmet catering and treats? A good charter flight includes first-class VIP catering and premium wines. But gourmet food also depends on the aircraft type. On Very Light Jets, for example, there are usually canapés and a fruit platter, but no hot meal. Whether or not the consumption of tobacco products onboard is permitted depends entirely on the aircraft and its owners. Ask your charter provider, and advise them your requests in terms of cigarettes, cigars, and of course food and beverage. They will choose the right aircraft for you and organize everything. 7. I want to book – what do I need to do? It’s not difficult to book a charter flight. In addition to your requests regarding luggage, catering and service, inform the provider via telephone or email how many passengers are flying, what the departure point and destination are, and when the trip is to be taken. You should also mention if you want to fly cheaper by accepting stopovers. Send the provider your details, and make sure you have the documents you usually need for a commercial flight: a valid ID for the Schengen Area and outside of Europe, a passport, and, in some cases, a visa. The charter provider will then present you with various options to choose from.